I've happily jumped on any nail trend there is from acrylics to fibre glass nails - is anyone else old enough to remember them? Currently it's all about gel nails whether you're a fan of Gelish, Biosculpture or simply rely on a top coat that gives the appearance of a professional manicure. But what if you want the professional gel manicure but have neither time nor money to visit your local salon? Sensationail have the answer. Sensationail is the number 1 selling home gel nail system in the US and after just one use I can totally see why and have am already hooked. I was recently sent a Sensationail Nail Starter Kit* to try but for one reason and another it had languished in the testing drawer as I'd decided I needed to devote a significant portion of time to test it. How wrong was I. This is the quickest, simplest kit to use and is no less time consuming than a regular nail polish paint job. Each kit contains a gel cleanser, primer, base/top coat, your colour and a Pro 3060 LED Lamp. I received the french manicure kit but acknowledging my nails wouldn't look their best with a french manicure I treated myself to the colour Scarlett Red. First you prepare the nails by filing and lightly buffing the nail with the enclosed nail file. Next use the lint-free wipes (also enclosed) to clean the nails with your gel cleanser. Apply the base coat and cure under the lamp for 30 seconds for each hand. Follow this with two coats of your colour, curing for 60 seconds at each coat and finish with a layer of the top coat, curing as instructed. Finally wipe the nails with the gel cleanser and you're done. Yes it really is that simple. Simple though it was I did learn a few lessons from this first attempt at my own gel manicure. Firstly the LED lamp will work/light for 60 seconds at a time. As such if you're doing a 30 second cure I would advise painting both hands and then swapping over at the 30 second beep. I appreciate the additional 30 seconds saved won't make too much difference but it will mean you're not 'wasting' the lamp being on without use. Secondly the most important thing I'll stress, and please don't ignore the instructions like I did, do cap the nail by running the brush along the nail tip. I didn't do this and whilst it hasn't made any dramatic difference there is wear that wouldn't be there had I done this and it also allowed my nails to exposed to snagging. Likewise make sure you cover the whole nail, the same as with a regular polish if a corner is 'free' it'll be more than likely to chip or break. Other than these 'user errors' I have no complaints whatsoever and have subsequently sang the kits praises to anyone that will listen. You can take a look at my Sensationails (see what I did there!) over here. By now I'm sure you're all saying well this sounds great, how much? 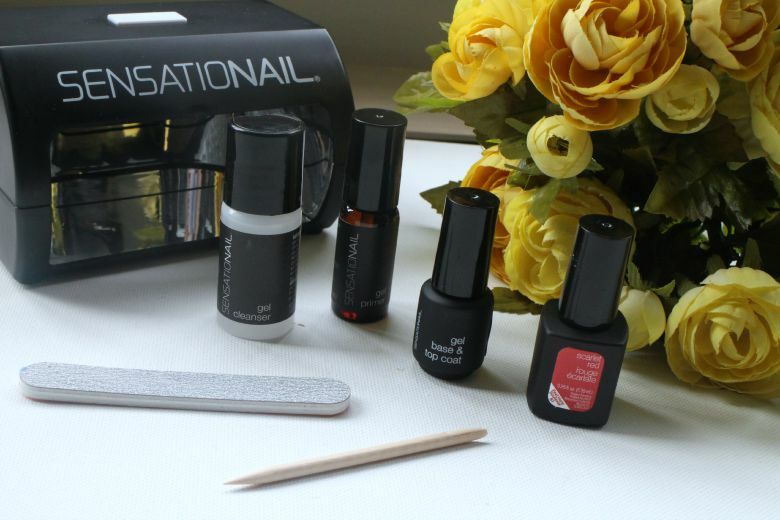 The Sensationail Nail Starter Kit costs you £69.99 which I appreciate sounds pricey but when you remember a salon gel manicure will cost you anywhere from £20 upward and the Sensationail Nail Starter Kit will provide up to 10 uses you're looking at approx £5 per manicure. It doesn't sound too bad when you work it out does it? And when your equipment runs out? You just pick up any one of the kits available. 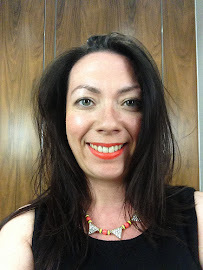 Personally I will replace the primer and top coat but the cleanser is really just nail polisher remover and we all have a stash of orange sticks, nail files and the like don't we. And of course there's an array of nail colours to choose from, priced at £15 whatever mood you're in. This is the perfect product to put on your Christmas list or make use of your Boots Advantage Card points if you can't wait till payday. If you're a gel nails fan you won't be disappointed. I'm a week in with my manicure and apart from the wear mentioned at the tips, the manicure still looks good as new. It's unheard of for me to spend a Sunday not thinking of repainting my nails. The only downside? At some point I'm going to have to remove them and no one likes that job do they. Have you tried an at home gel manicure kit before or does this tempt you?